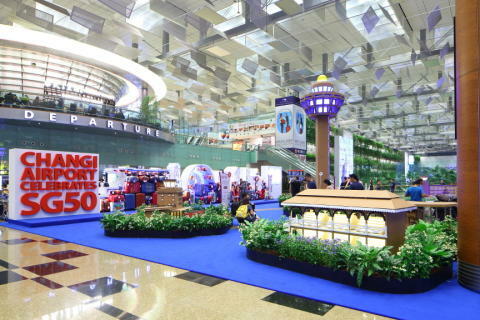 SINGAPORE, 16 July 2015 – Changi Airport, in celebration of the Nation’s Golden Jubilee, today unveiled 50 attractions featuring Singapore’s tourist icons, favourite local dishes and famous landmarks that are designed to bring visitors down memory lane to relive the history and celebrate the achievements of Singapore and Changi Airport. To date, this is the largest number of displays put up within the airport at the same time. For visitors who travel to and from Changi by road, they are treated to a visual feast of familiar Singaporean icons and two 25-metre arches across the Airport Boulevard. The 50 ‘Home Spots’ are a collective effort by Changi Airport Group (CAG), its airport partners and beyond. Besides members of the airport community including the Civil Aviation Authority of Singapore (CAAS), P-Serve, Certis Cisco, and JetQuay, external partners had also lent a hand in creating these Home Spots, including the Ministry of Defence, Singapore Kindness Movement, Nanyang Polytechnic and Samsonite, making the Changi Airport SG50 trail a truly Singapore initiative beyond just the airport community. Across its three terminals within both the public and transit areas, visitors can catch Skytrains depicting colourful snippets of Singapore scenes, capture quirky memories with specially-curated attractions, such as the larger-than-life durian or chilli crab, immerse in historical showcases such as the giant cardboard icons depicting the control towers of Singapore’s past and present airports and view exhibitions that include fun facts about Changi or a behind-the-scenes look at airport operations. For visitors who are excited to have a preview of Changi’s exciting future developments, a built-to-scale model of the airport masterplanis being put on public display for the very first time. Travellers and members of the public and community can also pen their well-wishes for Singapore on the world’s first airport ‘Luggage Wall of Greetings’. Changi Airport will be offering an array of shopping deals such as SG50 exclusives, discounts and gifts until end September. Over 150 of Changi Airport’s retail and F&B outlets at both public and transit areas will offer more than 200 deals for all airport visitors and passengers to enjoy. Passengers with time to spare at Changi Airport can catch free-of-charge movie screenings at the Movie Theatres in Terminals 2 and 3 transit areas. In line with Changi’s celebrations, one of the six movies screened daily at each theatre will include a local title, giving transit passengers a glimpse of Singapore cinema. In commemoration of SG50, CAG’s philanthropic arm, Changi Foundation, will contribute S$5 for every S$1 received through its donation boxes in the airport. Since its inception in 2012, Changi Foundation has contributed S$2.35 million towards supporting academic, vocational and developmental opportunities for disadvantaged youths, and has supported amongst others, Assumption Pathway School, Boys’ Town, Children-At-Risk Empowerment Association (CARE Singapore), Crest Secondary School, Institute of Technical Education, NorthLight School, Students Care Service and The Straits Times School Pocket Money Fund. Mr Jayson Goh, CAG’s Senior Vice President, Airport Operations Management, and Chairman of CAG’s SG50 Organising Committee, said: “The many partners within and beyond the airport community who have come together to create this celebration at Changi Airport has made our SG50 celebrations a true ‘one-people’ initiative for Singapore. “More than just a gateway to the world, Changi Airport holds many special memories for Singaporeans. For all of us, it is home. Our airport staff members who work round the clock to create the safe, efficient and enjoyable environment of Changi Airport has symbolically come together once again, to help create a unique experience for our passengers and visitors as we celebrate Singapore’s 50th birthday,” Mr Goh added. As a truly Singaporean icon, Changi Airport is well-loved by Singaporeans and travellers all over the world since 1981. Despite its young history, Changi Airport is a household name with many memories for Singaporeans. From students who had spent nights at the airport studying, to emotional farewells in front of the departure gates and romantic marriage proposals, Changi Airport is etched in minds – and hearts – of millions of Singaporeans, holding a very special place in all of us. Information on Changi Airport’s SG50 activities can be found at www.changiairport.com/SG50. 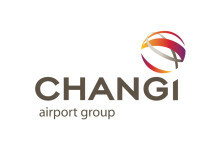 There will also be regular updates on the Fans of Changi platforms on Facebook, Twitter, Instagram and LinkedIn.